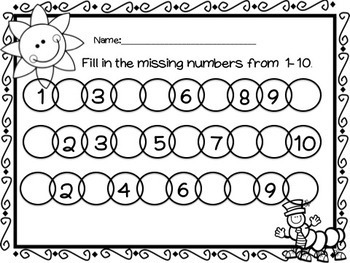 This product is for sequencing numbers 1-10. 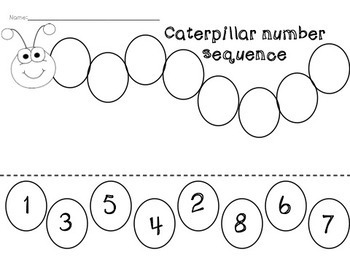 2) Missing number catperpillar worksheet (can also be used as a recording sheet for activity 3 listed directly below). 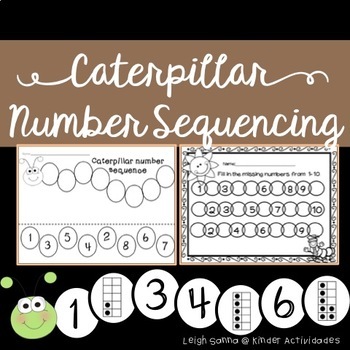 4) Cut and laminate to create a hands-on number center to order large ten frame cards 1-10 to form a complete caterpillar. Go to your "My Purchases" page. Next to each purchase, you'll see a "Provide Feedback" button. Simply click it and you will be taken to a page where you can give a quick rating and leave a short comment for the product. Each time you give feedback, TPT gives you feedback credits that you may use to lower the cost of your future purchases. I would so appreciate your feedback! 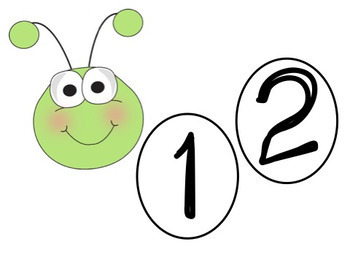 Click on the green star next to my store logo to receive upcoming sales, freebie and product launches, and email updates!